Nothing beats a good old 3 reels’ slot! In fact, these classic games are not only easy to understand, but they’re also the key fundament of modern slots. 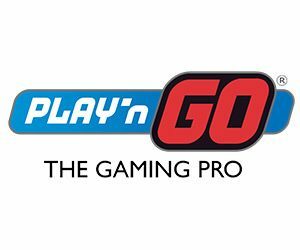 Granted that nowadays, not many people like three reels because they sometimes lack action.But, as always you can count on Play’n GO to add excitement to games. And this time around they completely re-defined the user experience of a classic 3 reels’ slot. In fact, the game studio added cannons on each side of the reels which adds excitement to every spin. Not to mention that the new Sea Hunter slot is also packed with features such as extra Wilds, Re-Spins and a whole lot more. So dive right into the action and read the review we’ve prepared for you below! As seen above Sea Hunter Video Slot has many features. But unlike other games, you won’t need to hit a specific symbol combination to trigger them. In fact, when you play this slot know that your key to unlocking the extra features are consecutive wins! As we briefly mention in the introduction, Sea Hunter has two cannons by the first and the third reel. Also, if you look closely at each cannon, you’ll notice a meter that will increase every time you make a winning combination. To sum up, the cannons have six different levels. So, after 2 consecutive wins, the cannons will deliver a blow to the reels that will improve one symbol and will transform it into a higher-paying one. After 4 consecutive wins, the cannons will target a specific type of symbol on the reel that will remain Sticky for 1 Re-Spin. Additionally, it’s worth knowing that if you win with the Re-Spin the meter will increase by 1 again and you’ll get 1 to 3 extra Wilds on the reel that will help you progress to the final level where you can win multipliers up to 15x. All and all, Sea Hunter Video Slot certainly delivers magic on the reels with a very appealing theme and innovative features! In fact, even if this game only has 5 paylines, it honestly surprised us! Also, we think this slot is a great game to play for players who’ve not tried high volatility slot before. Because the min bet will only cost you 5p. So it’s a great game to play to get used to the genre. And who knows maybe you’ll find riches under the sea too! Try it now and see what you think!